How to choose china color aluminum sheet manufacturers? Color aluminum sheet is the color coated aluminum sheet, and refers to the paint surface. 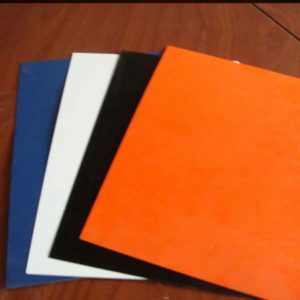 The common color aluminum sheet has fluorocarbon color aluminum sheet and polyester colored aluminum sheet. The performance of color aluminum sheet is very stable, resistant to humidity, temperature and weather, and it can reach more than 10 years of quality assurance, and even some special treatment to color aluminum sheet to achieve the long-term warranty of 30 years. From the alloy grades, the color aluminum alloy series commonly used for the 1000 series, the 3000 series, the 5000 series aluminum sheet, etc.. From the colors, it can be used in the field of building, such as the blue, red, white etc. From the manufacturers, many manufacturers of color aluminum sheet in Henan, the size of large and small, scattered distribution. So, facing the chaos with the size of the enterprise, how to choose quality products and reliable color aluminum sheetmanufacturers in the Henan area? 1. Looking at the overall strength of Henan color aluminum sheet manufacturers. The comprehensive strength of the production enterprise is the first step to ensure the quality of color aluminum sheet. At present, Gongyi city industry gathered area of several stronger aluminum sheet manufacturers, such as haomei aluminum led by listed companies, with an annual output of 400 thousand tons, domestic aluminum processing before ten, comprehensive strength, steady development of enterprise. 2. Looking at the product process and quality assurance. The product of color coated aluminum roll of haomei aluminum industry is equipped with advanced integrated roll coating production line in China. The products have uniform luster, stable color, good bending resistance and good corrosion resistance. The products are sold well in China and are sold to many overseas markets. 3. Looking at logistics and after-sales. As a leading manufacturer of color aluminum sheet manufacturers in Henan, the company has a strong self logistics system, vehicles, personnel and sufficient to meet the various provinces of the one-stop logistics services. Strong service system, for product transport and after-sales service, provides a strong guarantee. The weight per unit volume of the colored aluminum sheet is the lightest in the metal material, and it is also the most popular one. In the purchase of colored aluminum plate, you can pay attention to the selection of these key points, the choice of such as the strength of aluminum products, such as strong, large-scale production enterprises, product quality, sales, etc.